Chamber Ambassadors are among the front line faces of the Chamber. New members are warmly welcomed to the Chamber with a visit to their business by one of our Ambassadors. An Ambassador will visit with a Welcome Bag and a Kelowna Chamber member plaque. At events our Ambassadors greet attendees, lend a hand at registration and assist staff run a seamless event. Ambassadors are essential at the Chamber, ensuring all members new and long-term are fully engaged and enjoy our many events. If you want to assist other members, join our Ambassador Committee. For more information on how to get involved contact Jenna Duke at the Chamber. Looking for a great way to promote your organization and welcome new members to the Chamber? Contribute some of your promotional giveaways to our New Member Welcome Bags! Contact Jenna Duke for details. Brian is a real estate, business, and wills and estates lawyer with Pushor Mitchell LLP, assisting clients with a range of matters including residential conveyances and commercial property development, corporate/commercial transactions, commercial financing, and estate and succession planning. Brian has volunteered as an Ambassador with the Kelowna Chamber of Commerce since 2014 and currently sits as the Chair of the Committee. Contact me. Heather is a financial and insurance consultant with Investors Group Okanagan, assisting clients with a range of matters including financial strategies, estate planning, insurance needs, mortgages and charitable giving. She is focused on understanding her clients and presenting them with realistic paths to reach their financial goals. Heather believes in helping her clients live, dream and achieve their financial goals. In her free time, Heather is always out hiking, exploring and enjoying the local attractions; taking advantage of all the Okanagan lifestyle has to offer. Heather has volunteered as an Ambassador with the Kelowna Chamber of Commerce since 2016 and currently sits as the Vice Chair of the Committee. Contact me. Jillian Battaglio, CPA, CA is the owner of Creekside Accounting Ltd. She provides highly personalized tax and accounting services to small business and individuals from her boutique home-based firm. She has worked with a wide range of clients and strives to provide exceptional service and advice. Working with her clients she helps meet their tax compliance needs while creating a strategy to meet their personal goals. Jillian has volunteered as an Ambassador since March 2018 and loves meeting small businesses. In her free time she enjoys cooking, gardening, hiking, and skiing. Contact me. Stacey has been a member of the Chamber of Commerce since 2000. Stacey’s recruitment career started in the Lower Mainland until her move to the Okanagan in 2000. Aspire support our clients in all industries from Engineering, Technology, Construction, Transportation, Forestry, Aviation and more. Since its inception in 2014, Aspire has grown to include not only Permanent and Temporary staffing assistance, but also Human Resources Consulting. Stacey enjoys everything about the Okanagan, the lake, hiking, biking, wineries and camping with her husband and kids. To be able to own a business and have the support of the Okanagan community is a blessing in her mind. Contact me. Kevin is an Account Manager, Small Business at TD Canada Trust and a true Kelowna local, having lived here for over 30 years. He works to provide exceptional service and sound financial advice to business owners in an effort to meet their diverse credit, deposit, cash management and payment processing needs. Kevin has a BBA in Financial Services from Okanagan College and UBC Okanagan and is a Certified Financial Planner (CFP) with the Financial Planning Standards Council. 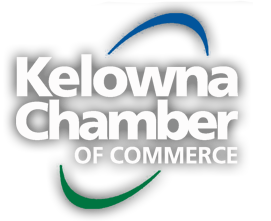 Kevin has volunteered with the Kelowna Chamber of Commerce as an Ambassador since 2016. Contact me. Lorna has lived in Kelowna for close to 30 years. During this time, she has always worked in the printing industry as an account representative and loved every minute of it. For the past 11 years she has worked for Wayside. Wayside has been a major player in the Printing Business since 1921. Over this time, Wayside has evolved to be more than a printing provider, now supplying Marketing, Design Services, Signage,Trade Show Displays, Packaging and so much more. Wayside employs over 60 people in the Okanagan. Lorna has a background in Graphic Design and a diploma in Advertising Art. Lorna has been an ambassador with the Chamber for since 2015. Because she enjoys meeting new people in the business community, volunteering as an Ambassador is the perfect fit. Contact me. Dean is currently a partner with Kelowna Human Resources. Dean is a highly skilled Business Development Executive with more than 25 years of experience in transportation, construction, mining and service industries. Having raised his family in the Okanagan, he is very familiar with the business make up of Kelowna and surrounding areas. He has had great success with multinational companies as well as small business startups. Comfortable with all levels of an organization, Dean is highly skilled at finding solutions to business needs and is interested in partnering with you in improving your company’s human resources. Contact me. Tanvir Gill was called to the Bar in April of 2019 and will begin her law practice with Pihl Law Corporation, focusing on business law, corporations, commercial transactions, commercial real estate, residential real estate and foreclosure law. She completed her bachelor’s degree with a major in Political Science in Vancouver before moving to Kamloops to complete her law degree. She began her legal career in Kelowna with Pihl as a summer student in 2017. Tanvir has been an Ambassador with the Kelowna Chamber of Commerce since January 2019. As an Irish, Scottish, Russian-German, Chinese Realtor born in Canada and raised in cities throughout the Okanagan, Justina holds a true appreciation for the beauty of the valley and the unique opportunities and advantages of the various Okanagan communities. An avid traveler and explorer, she always looks forward to returning home to the Okanagan oasis. Justina comes equipped with knowledge of real estate investing including: wholesaling, flipping houses, and negotiation and sales. She is dedicated to sharing her experiences and passions to guide her clients in their decisions, whether it is their first or forty-first home, allowing you to see smart, economic and environmental possibilities. Contact me. Patricia has been a member Ambassador for 10+ years. She is a Chartered Accountant(1983) from Alberta and has worked for a variety of companies, both in the public & private sector (Shell, Turbo, Prudential, University of Calgary, Alberta Sports Council, Houston Grand Opera). She has two handsome & bright adult sons, one living in Berlin, one going to UBCO. Patricia enjoys a variety of activities including sailing, golfing, tennis, waterskiing, snow skiing, scuba diving and hiking. Patricia owns a lakefront cottage on Okanagan Lake to maximize her enjoyment of the Okanagan lifestyle. Patricia is focused on getting results for her clients. Her meticulous attention to detail and sincere understanding her clients unique needs ensures smooth transactions for each individual. Contact me. Sarah Lust is the Communication & Events Coordinator at the Canadian Mental Health Association, Kelowna. She is a graduate from the University of Lethbridge with a Bachelor of Management Degree in Marketing with a minor in graphic design. Sarah is a freelance digital marketer specializing in website development, social media and advertising campaigns. Sarah is a previous staff member of the Kelowna Chamber of Commerce and has been a volunteer ambassador since departing in 2016. Contact me.